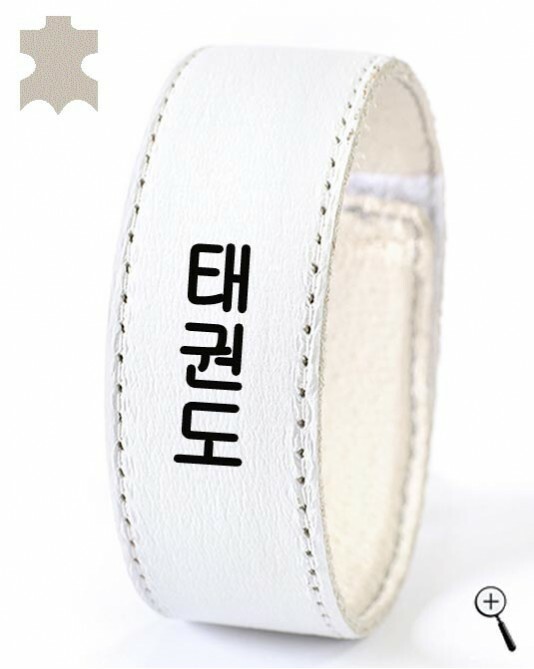 The white magnetic band labeled Tae Kwon Do on Hangle is made of white natural leather. 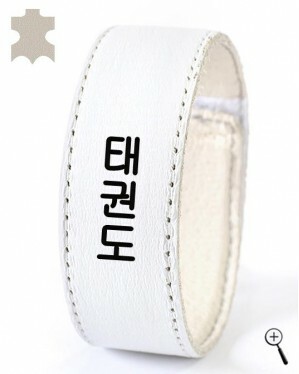 The lining of the magnetic band - also leather is easily cleaned by the imbibed sweat in lukewarm water. The magnetic band is waterproof.